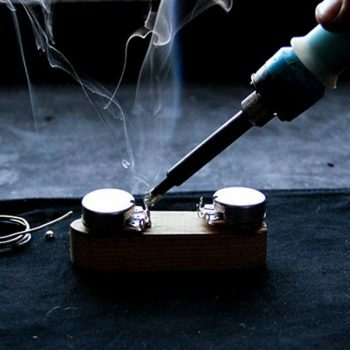 Stay up to date with the repair shop, our custom projects, and our handcrafted offerings from Solstice and BluesBox. We won't send you too many emails! Choose one or all of our brand categories below for VIP specials, early offers & shop news. 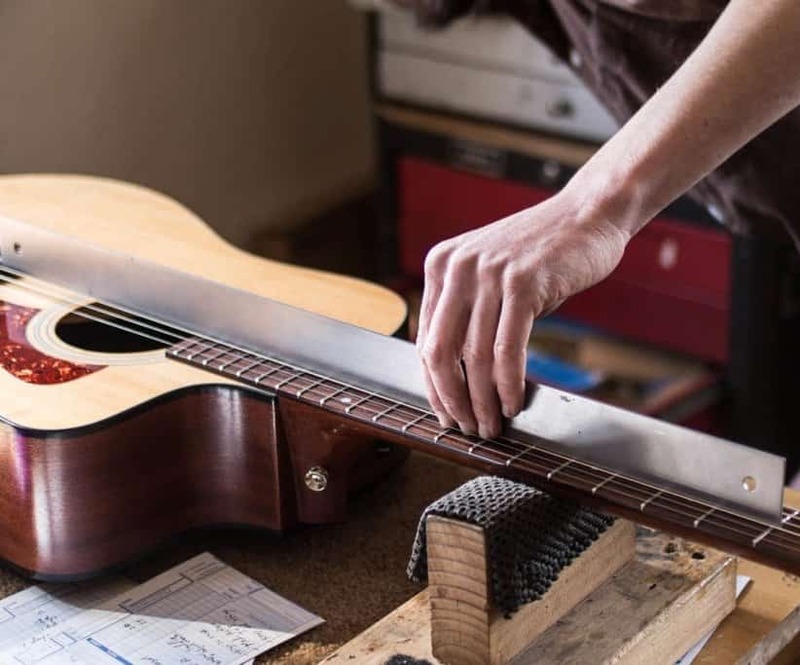 Re-fretting establishes a completely new playing surface, enabling us to correct the subtle changes which happen inevitably to the fingerboard and neck wood overtime. This allows for a perfect setup and string action, giving you amazing playability. The geometry of the instrument shifts over time. Wood moves. 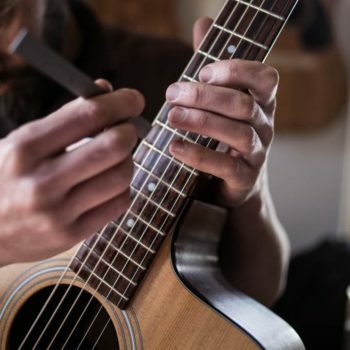 Our complete Re-Fret & Pro Setup includes a freshly surfaced fingerboard, new frets leveled and polished like diamonds, detailed adjustments to the entire instrument, including fabrication of a new nut (bone or graphite.) This is the next step beyond the Custom Pro Setup. The re-fretting procedure includes everything in the Pro Setup plus our complete re-fretting process. Choose your instrument type to initiate. This is the next step beyond the Custom Pro Setup. 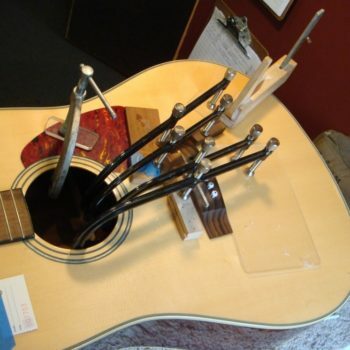 This procedure includes everything in the Pro Setup plus our complete re-fretting process. 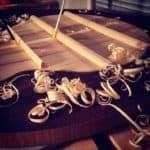 Re-fretting a guitar is not only a delicate and nuanced process, partially tedious, it is not only about getting new frets installed. The actual purpose and primary goal of complete re-fretting is to re-surface and perfectly flatten the fingerboard plane, providing a new and level surface free of any discrepancies for the new frets to sit upon. This drastically increases playability and the possibility for perfect string action. During this process we correct the radius of the fingerboard and add a subtle compounding of the fretboard radius as it reaches the final frets. 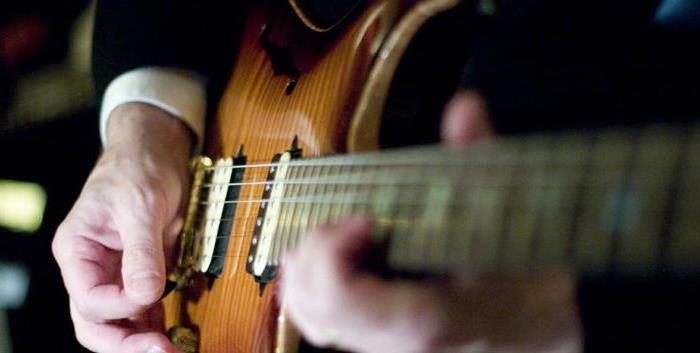 Guitar necks are narrow pieces of wood under a substantial amount of force. While they may be reinforced with rods, wood will distort over time, especially under tension and stress. After removing the frets, we correct any irregularities in the surface of the fingerboard itself. We then make a new bone nut and adjust all action points, detailing your setup. 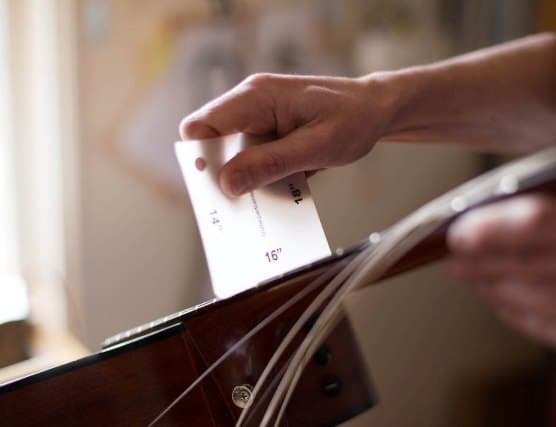 Perfect Fretting Surface: We true up the fingerboard surface and add a very subtle compound to achieve perfect fretting action from the first fret to the last. Perfect Fret Seating & Leveling: after a perfect installation, we level, bevel & polished frets for better action, intonation, tone articulation, less fret noise, and smooth feeling neck edges. Intonation Corrections & Adjustments: fabrication of a new bone nut and saddle, customized and cut for intonation enhancements specific to your playing style and instrument. We even include saddle slot re-routing if necessary for better intonation placement at the bridge on acoustics. Perfect Action Setup for Your Playing Style: proper neck relief, action height, nut slot depths & spacing, and intonation sweetening for your individual playing style and preferences. Full Servicing & Buffing: fretboard conditioning, buffing, cleaning, gear adjustments, oiling & minor touch-ups. Your guitar will come back looking as beautiful as it plays. Guitar setups from the factory are rushed and not completely detailed. Instruments also shift over time, especially when new. Our complete Re-Fret & Pro Setup includes a freshly surfaced fingerboard, new frets leveled and polished like diamonds, detailed adjustments to the entire instrument, including fabrication of new parts like bone or graphite nuts and saddles for intonation corrections and tone enhancement. We set the neck relief, dress your frets perfectly, give your baby complete maintenance, conditioning, and so much more. NOTE: The initial transaction is a fully refundable deposit. It will be applied to your final repair total. We require this deposit to initiate your consultation before we send you the pre-paid shipping box. See tabs tab above additional info on our setup procedures. We pay for your initial shipment & provide the box to get your instrument to our facility. We charge a flat rate of $35 for the return shipment to you. Shipments are fully insured both ways. After we receive your instrument, most work is completed within 2-3 weeks. Large repairs, restorations and reconstructions can take much longer. What happens after I make the deposit? 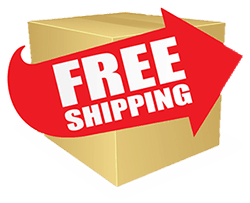 Be sure to add the FREE shipping box and chose the size you need. We will contact you within 24 hours for a consultation and then we’ll provide you with a full quote for your services. If you approve the quote we will then send you the pre-paid shipping box with instructions. If not, we will refund the deposit. What if I decide not to send my guitar? If you decline after the consultation and quote, we will happily refund your deposit. If we send you the pre-paid box after the consultation and then you change your mind, your deposit will be forfeit. The quote is for the labor portion of the service only. It does not include strings, parts, or the return shipping fee. Your initial deposit gets applied toward the final total and we cover your initial shipment to us. We add a $35 fee before the return shipment to cover our costs on materials and shipping insurance. 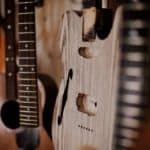 How do I pack my guitar safely? You must have a hard case. You will also need some packing material and packing tape. Follow our instructions when you receive our official shipping box. 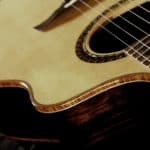 All shipments are fully insured for the approximate value of your instrument. We’ll contact you again as soon as we get your instrument. Repairs generally take 2-3 weeks to complete after that.